California has some of the toughest environmental laws in the nation, but some of the weakest enforcement. Toxic pollution emissions from manufacturers and refineries to soil and water rose ten percent in 2011, after steadily falling since 2007, according to the US EPA. Toxic pollution is affecting communities across the state from heavily industrial working-class communities to bedroom communities built on old farmland. Consumer Watchdog wants the Department of Toxic Substances Control to live up to its mission of protecting communities and the environment from toxic harm caused by one hundred thousand generators of hazardous waste in the state. Unfortunately, this department of the California Environmental Protection Agency that regulates companies generating and handling hazardous waste has fallen down on the job for years. Fewer and fewer cases are referred to public prosecutors. Less and less money is flowing to communities harmed by toxins. Consumer Watchdog is drawing a bright green line between serial toxic polluters and the communities they inhabit, challenging the DTSC to revoke permits of serial environmental polluters, levy maximum fines, and take serial polluters to court instead of cutting deals behind closed doors. The DTSC, together with CAL EPA and all of its branches, should lead in protecting communities and the environment from toxic harm to soil, water, and air. It's time for California environmental regulators to show Californians that community health should not come at the expense of corporate wealth. Click here to read and download a copy of the report. 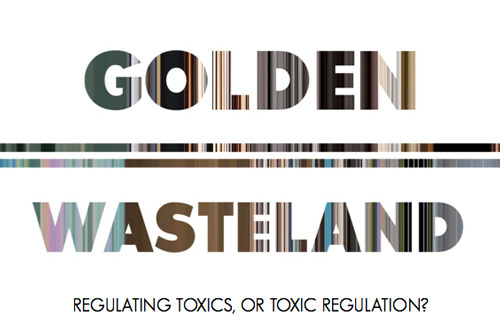 Golden Wasteland is a six-month long study by Consumer Watchdog of The Department of Toxic Substances Control (DTSC) and the job it's doing to protect Californians and the environment from toxic harm. Based on interviews with DTSC staff, present and former, as well as environmental lawyers, prosecutors, advocates, consultants, and affected communities, it is clear that the DTSC is falling down on the job. 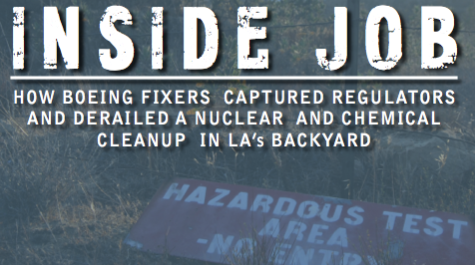 New Report Exposes Boeing Influence Peddling That Derailed Cleanup of a Partial Nuclear Meltdown Site Near L.A.
NBC Bay Area - Senate Investigation Finds "Major Problems" in State Toxics Dept. To find a full account of the media and news articles in which Consumer Watchdog's Toxics Watchdog project has been featured, please click here.